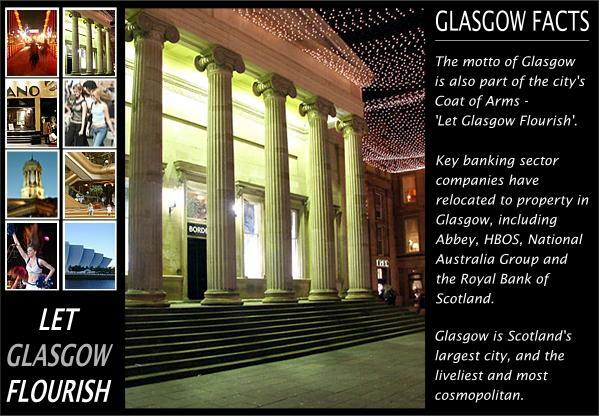 Glasgow is one of the liveliest and most cosmopolitan destinations in Europe. The city has been reborn as a centre of style and vitality set against a backdrop of outstanding Victorian architecture. 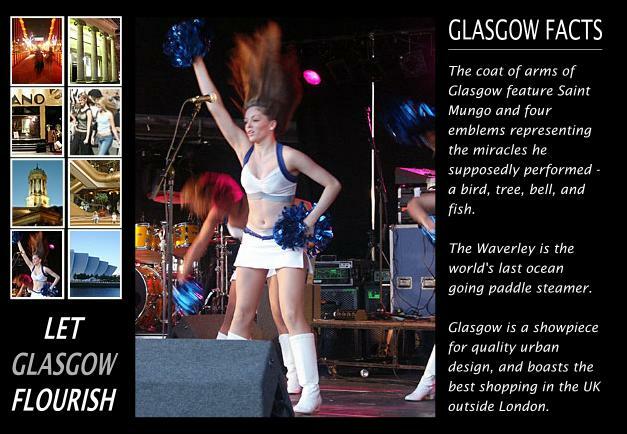 Glasgow boasts world famous art collections, the best shopping in the United Kingdom outside London, and the most vibrant and exciting nightlife in Scotland. 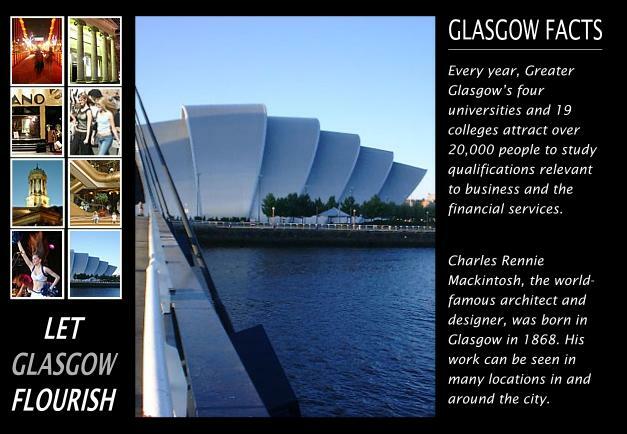 A must see is the splendour of Scotland's best known architect Charles Rennie Mackintosh, whose style adorns many unique attractions throughout Scotland's largest and greatest city. 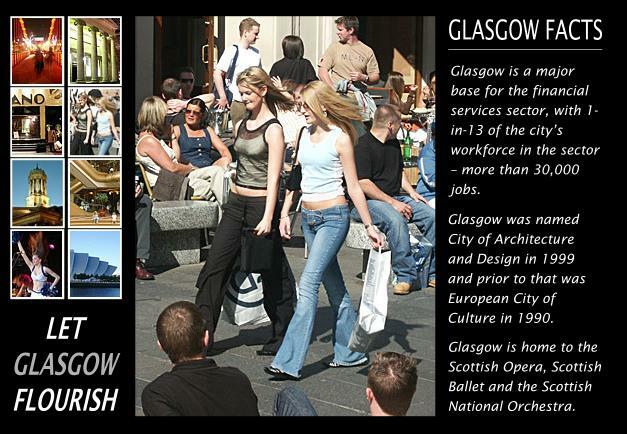 Art and culture are important in Glasgow life where galleries and museums are in abundance - most with free admission. 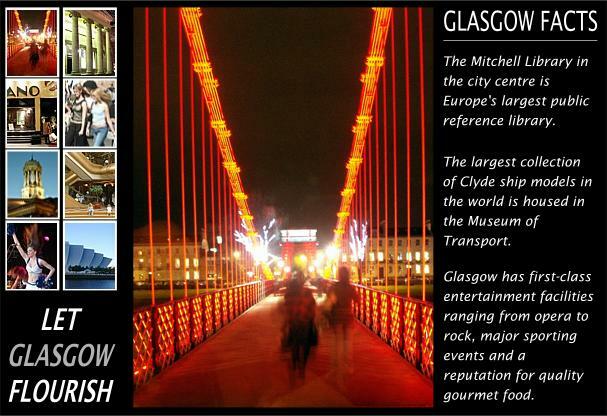 A choice of over 20 includes the world's first Museum of Religion and the renowned Burrell Collection in Pollok Park. 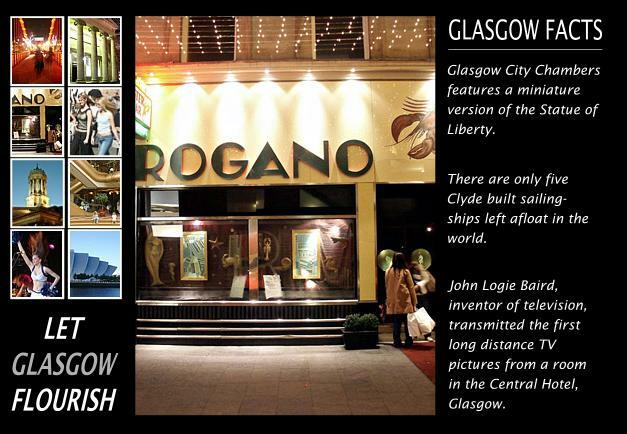 No visit would be complete without experiencing the city's shopping with high street stores, designer labels, and speciality outlets to explore, with welcome pit-stops in the first class cafe culture around the Italian Centre, Merchant City, Gallery of Modern Art or Buchanan Galleries. Near the boundary of East Dunbartonshire and Glasgow, you will find a memorial to William Wallace, hero of Scotland. In danger of being eclipsed by housing developments, now may be the last chance for you to visit both this site of national significance, and the nearby Wallace's Well, where Wallace took his last drink as a free man. The Hunterian is Scotland's oldest public museum and following a very careful refurbishment, re-emerges as Scotland's newest museum, and is the first to attain the prestigious award of having a collection of national significance. If you've not visited the Hunterian Museum in a while now is the best time to go! 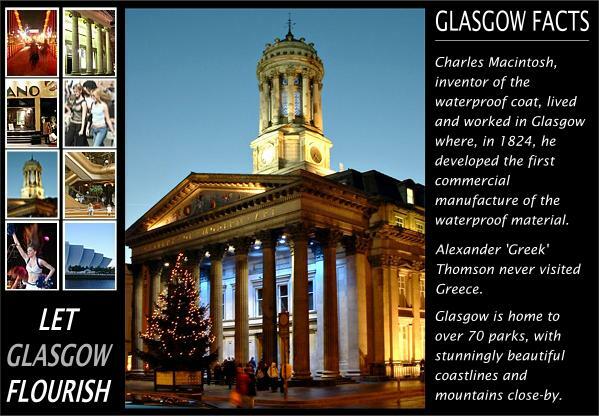 The City of Glasgow owns one of the richest collections in Europe, displayed in 13 museums across the city. From Sir Roger the elephant to Rembrandt's A Man in Armour, and 1950s trams to medieval tapestries, Glasgow Museum's got something for everyone. 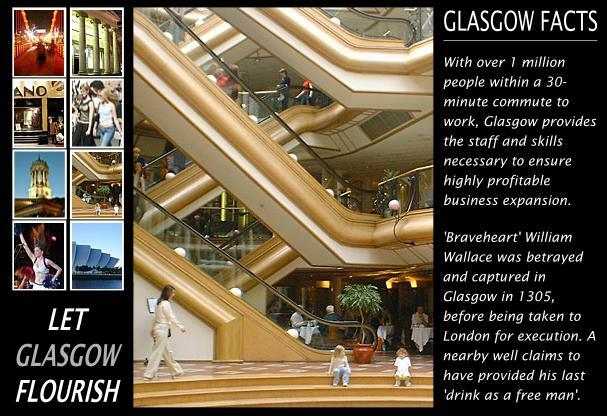 What's more, they're free and open seven days a week!